ATTENTION TMMK EMPLOYEES AND FAMILIES! 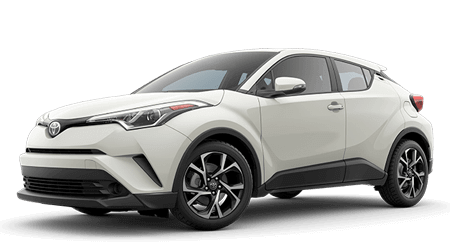 In addition to the Attachment A Purchase Plan, Toyota Motor Sales (TMS) recently introduced the new T-Drive Purchase Program for associates and their eligible family members that feature a preferred price on select new Toyota vehicles. Special non-negotiable preferred pricing on select new Toyota vehicles. Eligible associates/family members can purchase vehicles directly out of dealer stock. Eligible associates/family members can finance their vehicle using the TFS Associate Finance Plan, subject to credit approval. Eligible associates for Attachment A include Toyota associates/retirees from Airflite, Bodine, Calty, NUMMI, TABC, TIEM, TLS, THMU, TMMAL, TMMI, TMMK, TMMMS, TMMTX, TMMWV, TEMA, TMPS, TRD AND TMA. Associates from TFS and TMS are eligible as well. Eligible family members for Attachment A include associates'/retirees' spouses, parents, parents-in-law, step-parents, grandparents, grandparents-in-law, step-grandparents, aunts/uncles, aunts/uncles-in-law, step aunts/uncles, children, son-in-law, daughter-in-law, stepchildren, siblings, siblings-in-law, step-siblings, and same-gender domestic partners. Toyota On Nicholasville appreciates every member of the TMMK plant, and considers it a privilege to be able to have you as our customers. We would love for you to come visit so we can show you our superior customer service, state of the art facility, and our many amenities.